Today’s interview is with Ruth, the owner of The Canvas Cottage Company. I am in my 40’s and a mum of 3 kids and 2 dogs from Cheltenham, Gloucestershire. We have been running our business for just over two years. We bought our first tent and started collecting furniture and bits and bobs for it and then had a ‘lightbulb’ moment…that we could hire it out to others. 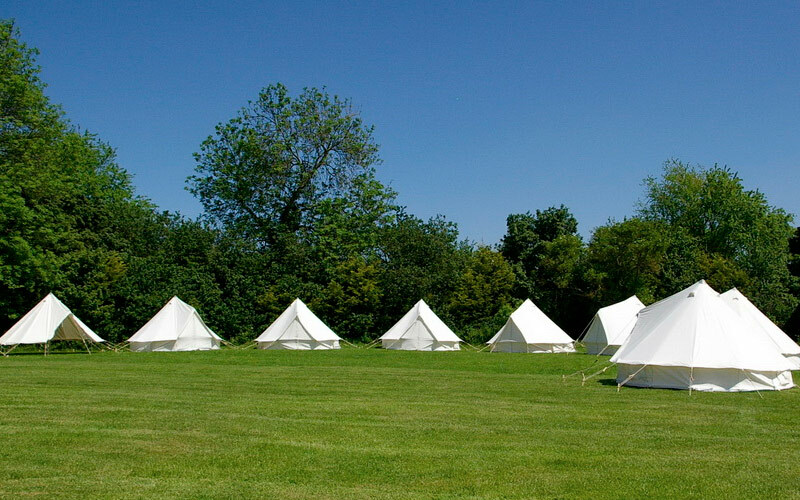 We now have 13 Bell tents and no time to use them ourselves!! We live in the Cotswolds in Gloucestershire which has so many beautiful areas, wedding venues, campsites etc. We haven’t got a permanent site; instead we set them up where guests would like them….wedding venues, back gardens etc.! Do you get a wide range of different people from different walks of life or is there certain types of guests who come to stay at your site? Most of our bookings are for wedding guest accommodation or parties. We can provide all cooking equipment e.g. gas stove, wood-burner, pots and pans etc, but we find most guests don’t require it, preferring to eat at the venue. We just recommend relaxing, getting away from phones, computer screens and spending time with friends and family, star-gazing and generally being close to nature! 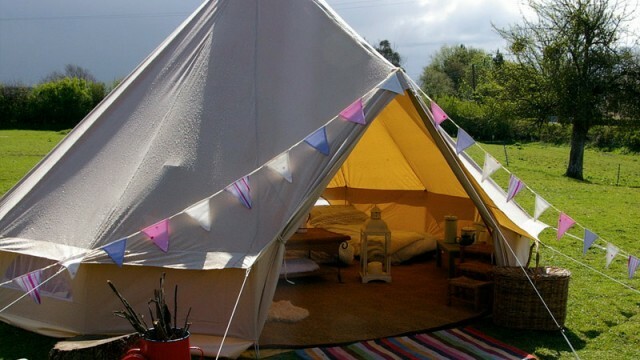 We had a wonderful Glamping Bell Tent ‘village’ at our own wedding last July, all our friends stayed over. We are planning to purchase two more tents. Also we are in talks with a local wedding venue to have a few set up permanently in their grounds.